Online review sites are recommending dangerous prams. Warning after popular prams rating high on online review sites found to be dangerous for babies. It’s one of the biggest investments you make when you have a baby – what stroller to get to transport your newborn. The decision is an important one, after all that pram or stroller will soon become your lifeline to the outside world so it’s pretty crucial you get it right. But who can you trust to give you the right information? Well today parents are being urged to do their homework in the right place when it comes to researching the safest prams for their babies after a major media group conducted an investigation that found products some review websites regard as safe have in fact been deemed dangerous by authorities. It&apos;s a surprise, many of us turn to these &apos;review sites&apos; thinking they will give us accurate advice. A recent study showed more than 89% of consumers find online channels trustworthy sources for product and service reviews. So it’s a timely warning. The Advertiser reports that four of the five top-ranked strollers on review website productreview.com.au failed safety testing by independent consumer advocacy group Choice. Of the top five strollers four were “not recommended” and the other had not even been tested. According to the report a product is not recommended if it “failed at least one major safety or durability test”. The four reviewed strollers had at least one major safety failure including possible “strangulation hazards from the harness, head entrapment and tendency to tip over”. The stroller that received the top rankings on product review was the Maclaren Techno XLR/XLR Elite – a product that Choice deems ‘not recommended’ as it failed a safety test. For parents looking at buying second hand Maclaren strollers it is worth remembering that a vast majority of the older models are the subject of a safety recall due to the risk of injury to a finger. In the US there were 12 reports of fingertip amputations from the stroller. A recall was issued in 2013 for any strollers with a manufacturing date up to and including 2009 under the model names; Vogue, Volo, Triumph, Quest Sport, Quest Mod, Ryder, Techno XT, Techno XLR, Twin Triumph, Twin Techno, Daytripper, Techno Classic, Quest and Twin Traveller. What pram does Princess Charlotte have? Only the best. Post continues after this video.. The BabyZen YoYo, rated the second best stroller on Product Review is also not recommended by Choice as it failed a safety test. The next two top strollers, the UPPAbaby Alta which received 4.7 out of five stars, and the Rozibaby Pram - given 4.4 out of five stars are incredibly also both not recommended as they failed Choice’s safety test. Rounding out the top five "best strollers" is the Redsbaby Bounce stroller which has not even been independently reviewed in Australia. When choosing the right product consumers should be looking at multiple sources for information. Image via iStock. ProductReview managing director told News Limited that consumers should not just be relying on one source. ”User ratings provide a great source of information when choosing the right product but just like with any publication consumers should be looking at multiple sources for information when making a purchasing decision” Elmar Shar said. Dangerously the faulty reviews seem to run right through onlines sites with another stroller listed on the product review site, the Phil and Ted’s "Sports v2" and the "Vibe“ getting reviews like "I&apos;ve been using this stroller for my twins for over a year now, and it has been perfect." Any parent would take that as a positive vouch for its safety. Product Safety Australia says that parents need to be warned that this prams can be dangerous as it can tip over. But again a bit of further research and you can see that it too has a warning. What concerned parents are urged to do is to stick with independent sites like Choice and to make sure they do thorough research before making an investment in a product that could endanger their child’s life. 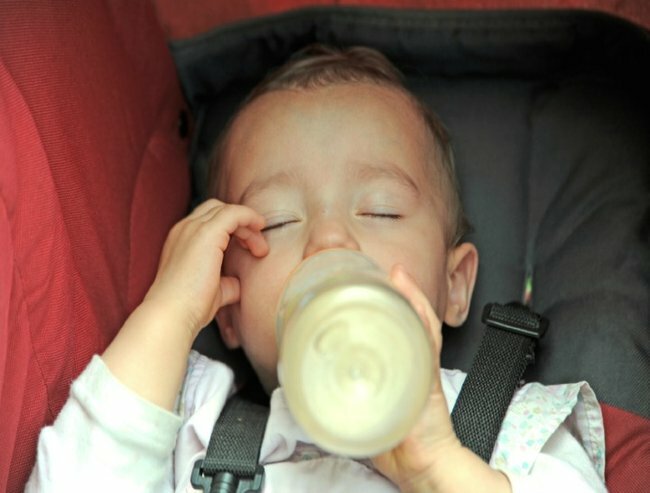 never sleep children in prams as strangulation or suffocation can occur if a child moves about when asleep and becomes trapped in parts of the pram or stroller. serious injuries if they fall from a stroller or if it topples when in in use. Parents and carers should always keep children restrained in the harness that all strollers must have. To minimise risk, a mandatory standard applies to prams and strollers.